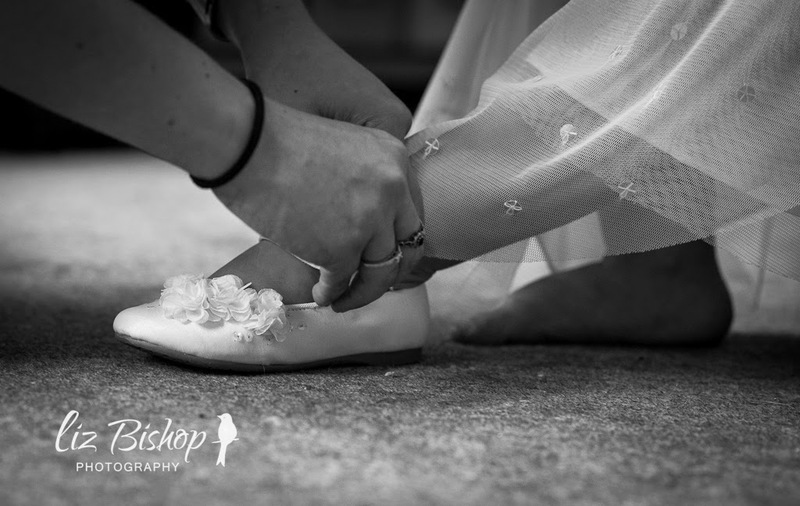 Today I will be sharing all things Wedding Party! Look at my lovely lot! 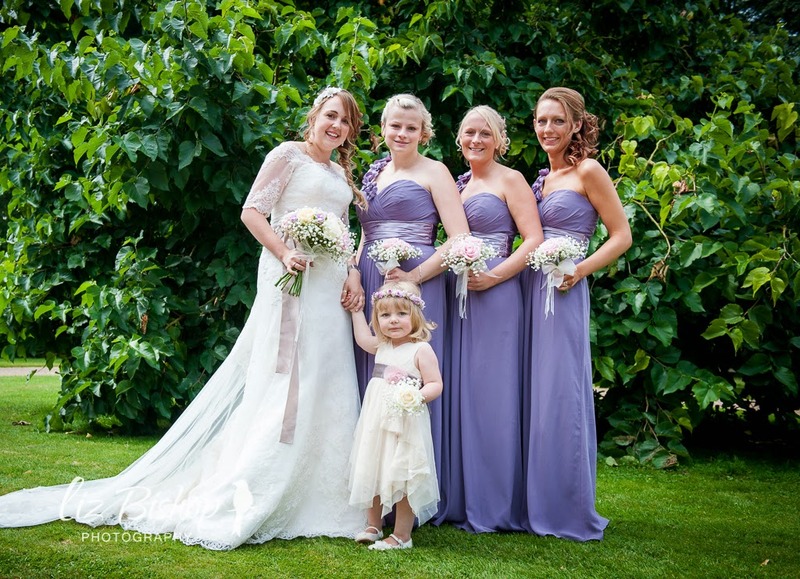 I had four bridesmaids (including Darcie), all my bestest friends in the whole wide world! 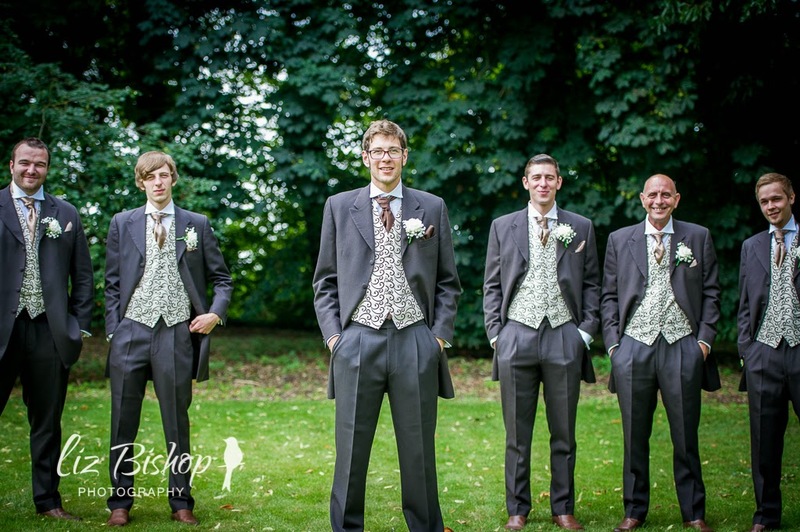 Jamie had his best friend Adam as Best Man and we had our brothers as Ushers - what a handsome lot! We had seen an amazing suit in a magazine that we fell in love with. The suit itself was a very deep brown- we felt black wouldn't be in keeping with our theme. We couldn't locate the actual suits we saw, but I sent Jamie to Moss Bros to see if they had something similar. Now, unfortunately, I don't have anything positive to say about our experience with Moss Bros. The customer service from start to finish was actually shocking. They managed to find Jamie a similar suit (apparently - I wasn't with them at the time), and so they went ahead and started the process. The payment and process took well over an hour. My dad almost walked, but persevered. The next meeting with them was when they had fittings. The guys at the Norwich store were so rude, favouring other customers and kept us waiting. We had Darcie (our two year old incase you're reading Moss Bros) with us too, so this extra wait wasn't exactly ideal. The guy who appeared to be in charge kept swearing about his staff, so unprofessional and so offensive - all within earshot of our two year old. Feeling frustrated and knowing that it was now too late to find an alternative supplier, we left feeling really uneasy. The day before the wedding my dad and Jamie went to collect the suits. When they arrived back, I asked if they doubled checked if they were ok - they hadn't. So we checked and low and behold they had messed up. 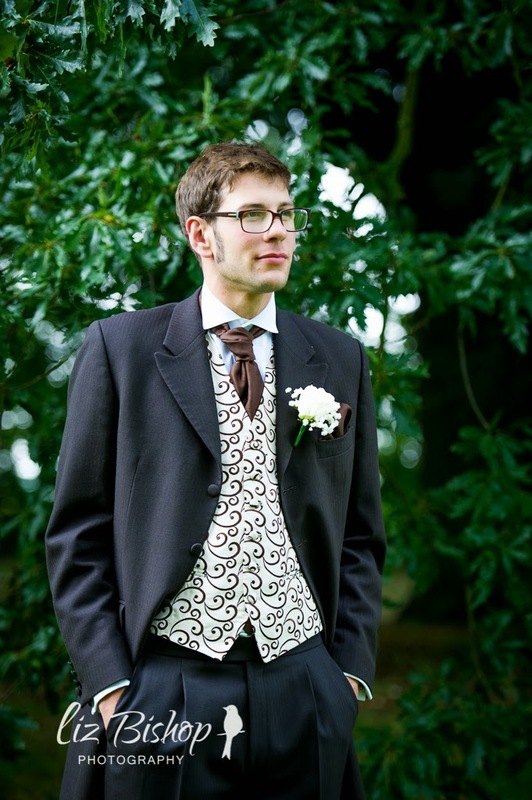 My dad had a purple waist coat and Jamie an ivory tie. So very bizarre. I just burst into tears because all these horrible feelings about this company came true. To be fair to them, they did rectify the mistake. 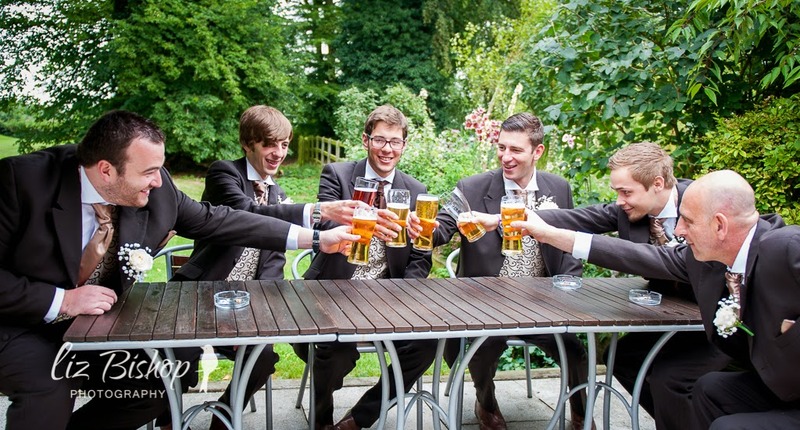 BUT, on the wedding day we discovered that Adam's (the best man) waist coat HAD NO BACK!!!! It was just a piece of material!!! 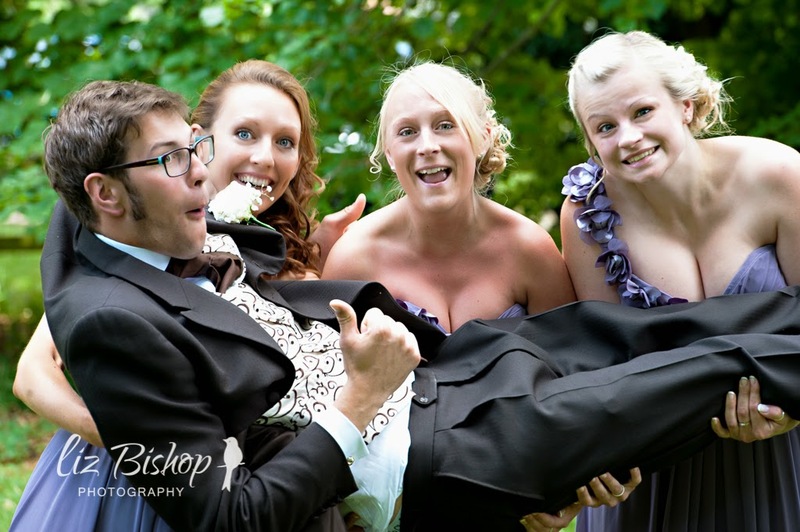 Luckily the grooms men managed to bodge job it on. Ok, that's my rant over with. 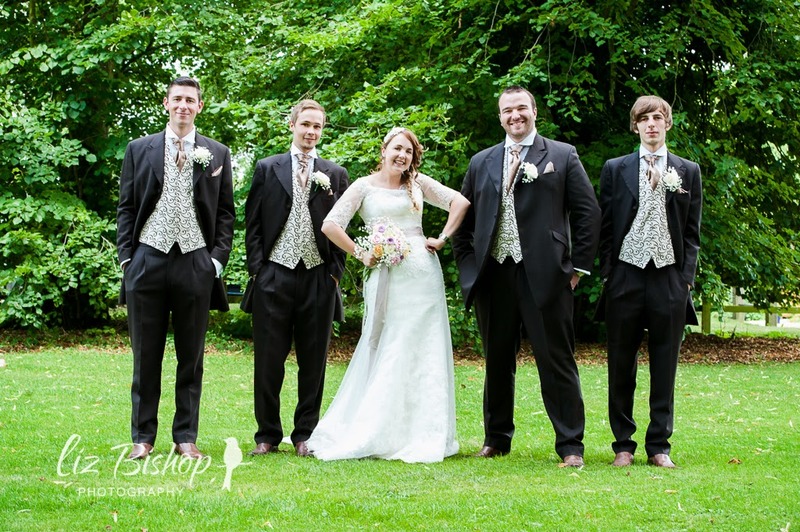 Luckily these things didn't put a dampener on the day (even if every guest asked what was up with Adam's suit!) and now I just look back and laugh! On to my beautiful bridesmaids. We were very lucky that an old colleague of mine recently left to open a bridal store, The Frock Spot, with her daughter and so she helped us with the bridesmaids dresses. 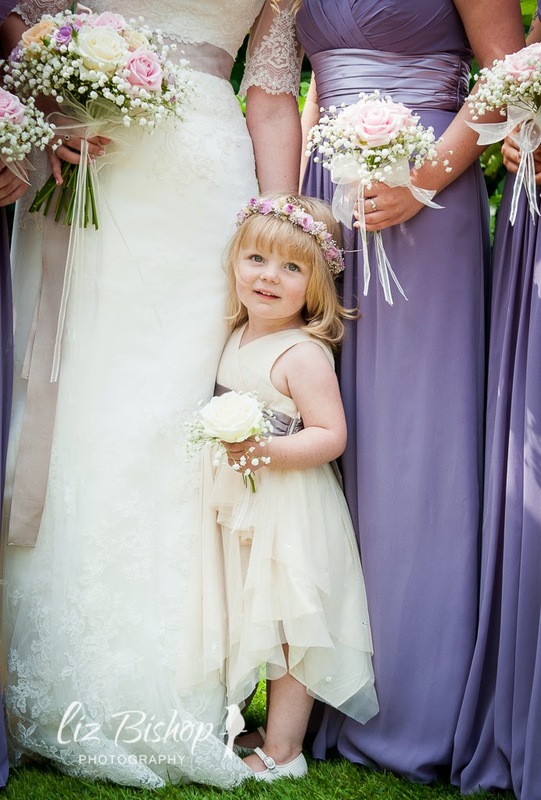 These beautiful chiffon dresses were the perfect splash of colour that we needed to bring everything together and also worked perfectly well with Darcie's dress. I can't get over how beautiful Darcie looked, she made me and Jamie so proud as she was good as gold from start to finish (even walked me down the aisle with my dad). 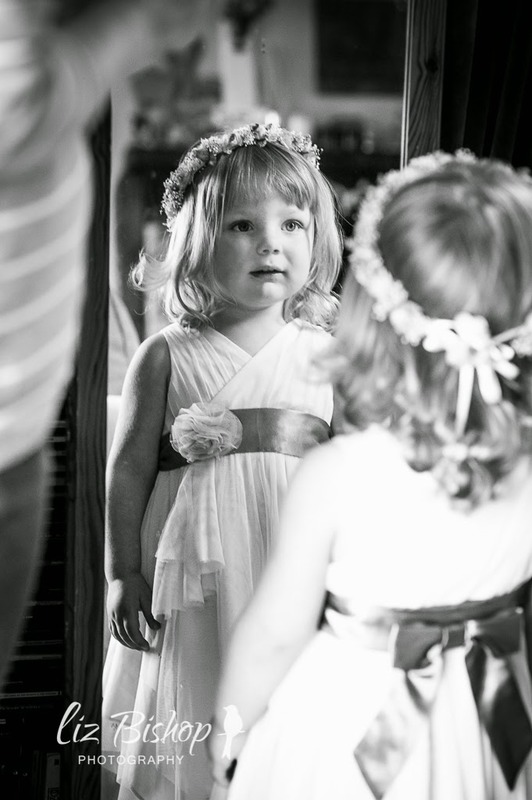 Her dress was from Mamas & Papas (£22 in the sale! ), shoes Next and her flower crown was from THIS Etsy store. I'm soo thankful for all our wedding party, they were all amazing on the day, whether it was running round after Darcie, settling nerves or directing guests. 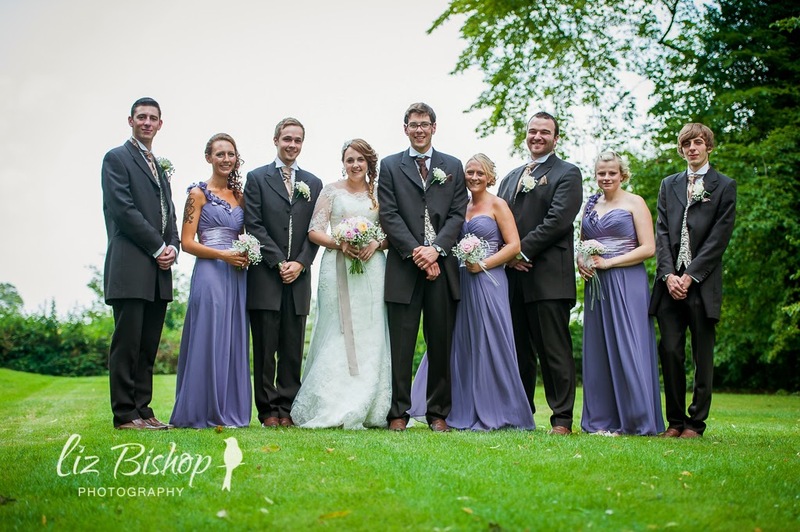 They helped made it a very special and run smoothly. Come back tomorrow for venue, decor, flowers and cake! !